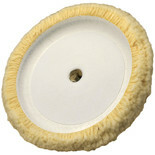 The super polyurethane backing pad is made from impact resistant synthetic nylon which is bonded to microcellular polyurethane and with internal thread to suit sanders/polishers. 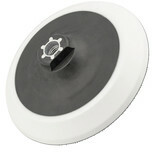 A sturdy suport pad for use with sponges with hook and loop attachment. 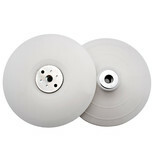 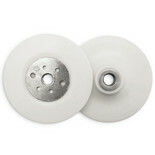 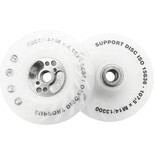 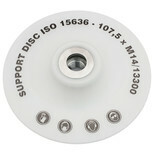 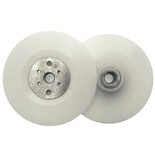 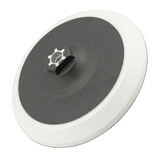 A 115mm white nylon backing pad for use with angle grinders - medium. 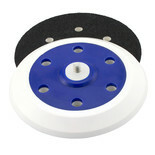 The ultimate in dust extraction, this pad features our unique Cyclone™ plate with 30 holes and 10 vents to create a super suction effect within the upper chamber of the pad. 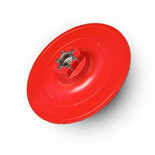 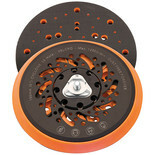 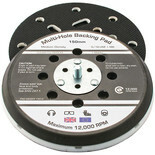 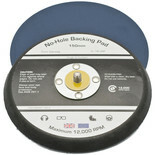 A 115mm nylon backing pad for use with 4½" angle grinders - Hard.